Here’s my next Madame Alexander: Austria! I bought her this year on ebay for $10. I think the low price has to do with her legs pretty much falling off. But they’re still attached, so I’ll take it. Here’s an adorable picture. I’m pretty sure this is the first time I’ve ever photographed these girls! Artsy Girl is from Little Miss Matched. I think these dolls were available 2 years ago. They were instantly popular, and were only available for a short time. I have been a fan of Little Miss Matched socks since graduation day 2008. I wore mismatched black and white tights to graduation, and my socks have not matched since then. 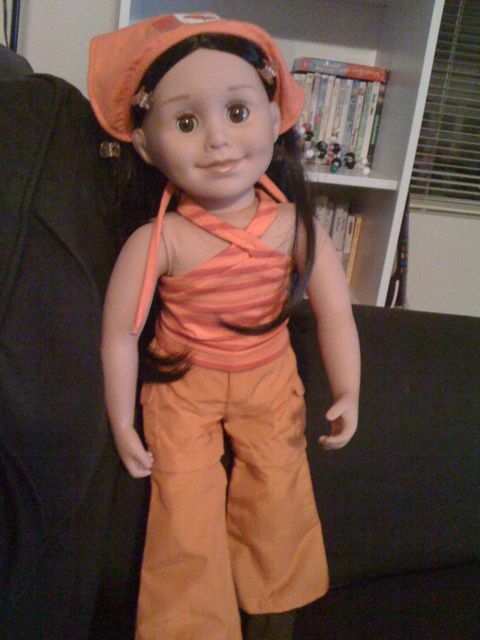 When I first saw these dollies, I knew they were amazing and that I had to have them. I also got all of their fashion packs, so they have like a million outfit possibilities. 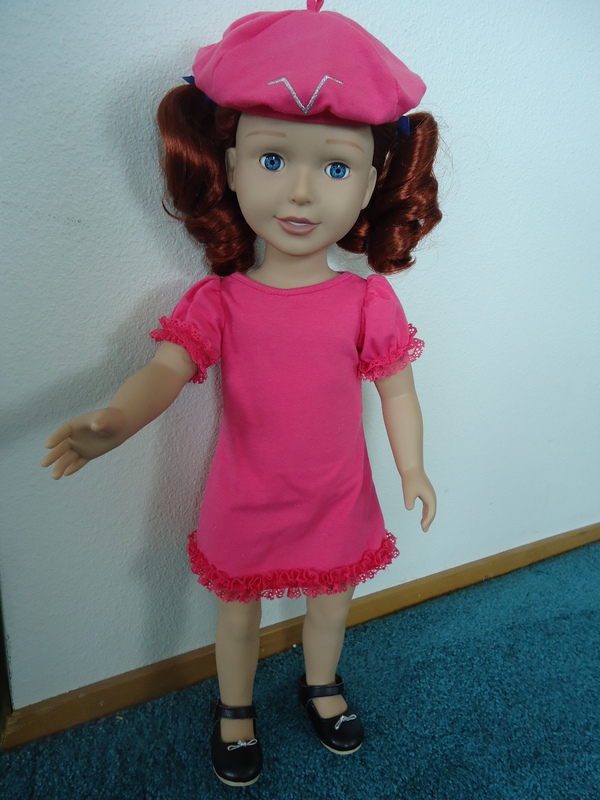 They are made by Tonner toys, from the god of the dolly world. Here’s Artsy Girl in the clothes she came in. She also came with a third sock and a purse. She is really fun to dress and pose. 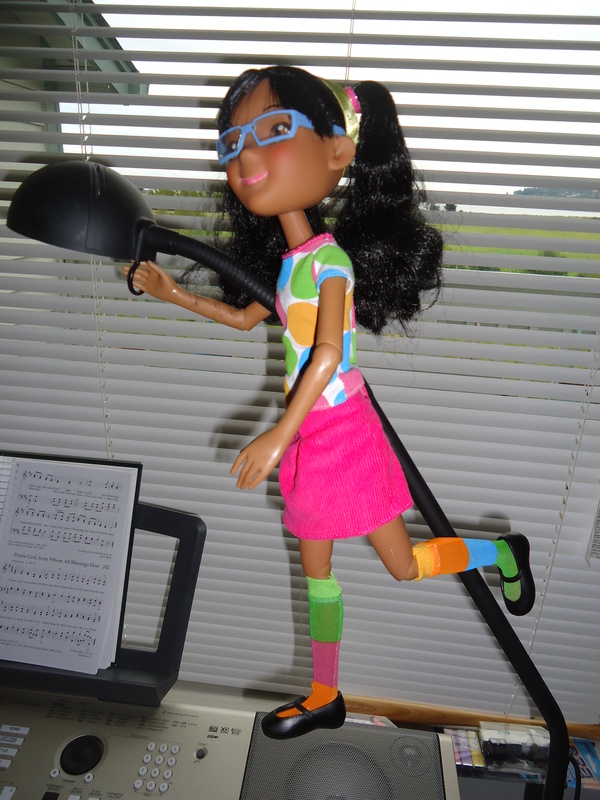 Artsy Girl is one of the stars on a blog on my reading list Dolls on da Blog. It’s a fun blog with lots of games and giveaways–I think that Artsy Girl has a lot more fun than mine, who spends most of her days and nights sitting on a shelf. 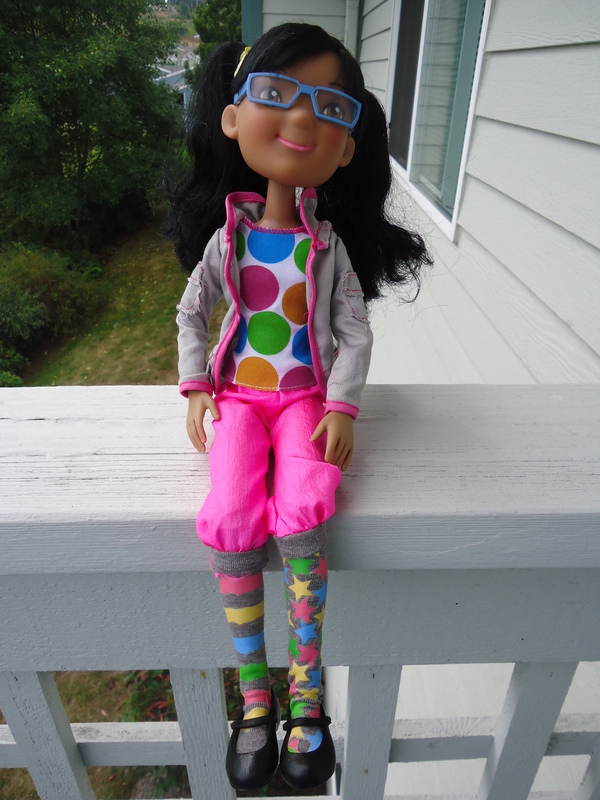 As I mentioned yesterday, Analisa got new clothes this week! How lovely it would be if each of us could have a friend in every country in the whole wide world. Most little girls know only the playmates and school friends who live near them in our United States. All around the globe in every country there are children just like our friends here. They go to school, play games, have pets, and go to parties just as we do. Many of their customs differ from ours. Many things about their homeland would seem strange to us, but if we knew them we would enjoy having them for friends. It is not possible for most little girls to have friends from foreign lands. 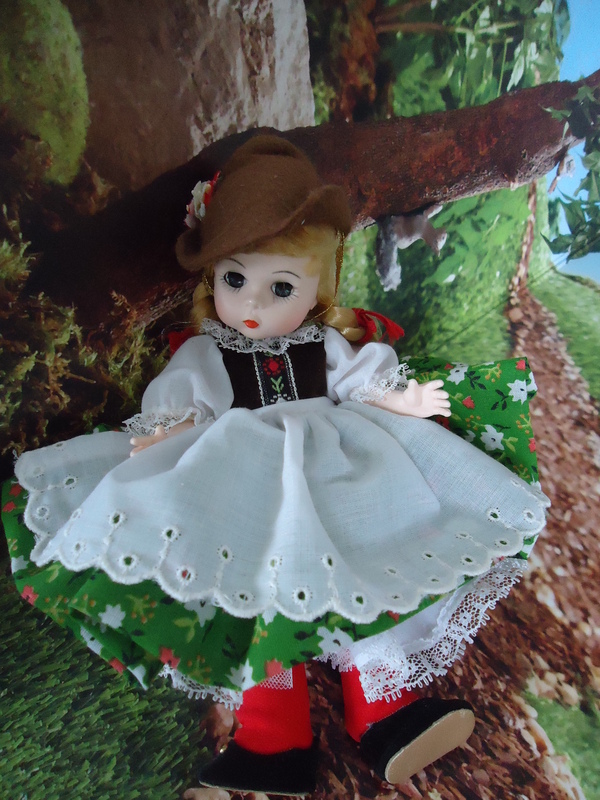 Madame Alexander decided therefore, that she would make Foreign Doll Friends for you to own and enjoy. She dressed them in the costumes of many foreign countries and the result is an enchanting group of dear little people. A child’s doll is precious. It’s a friend who shares her joys, sorrows, and secrets. She can help a girl to understand that something beautiful is a joy forever. Isn’t that lovely? I love dollies. So I don’t remember when my mommy bought me my collection of Madame Alexander dolls. Most of them are International Dolls like Argentina, but I have a couple others too. This one’s booklet is copyright 1984, and the tag on her dress says Argentina, by Madame Alexander (TM) New York, USA. 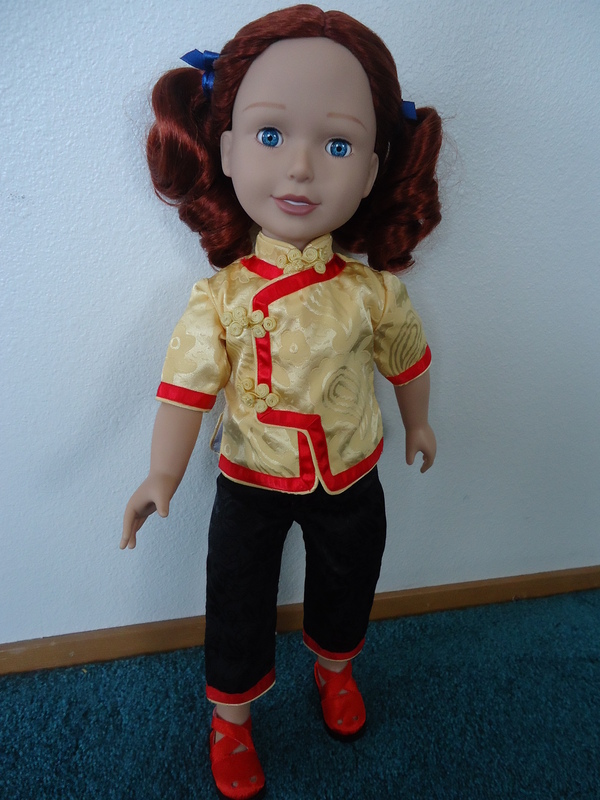 Earlier this year I searched for more international dolls on ebay, because I wanted to approximate her value, and they are selling on ebay for pretty much what we paid for them (Argentina has a price tag on her $29.95, and we bought her in the early 80’s). I’ve been staring at her for a bit while I’m typing this post, and she is so beautiful! I think she was my favorite when I was little–I like her braids and her flowered dress. 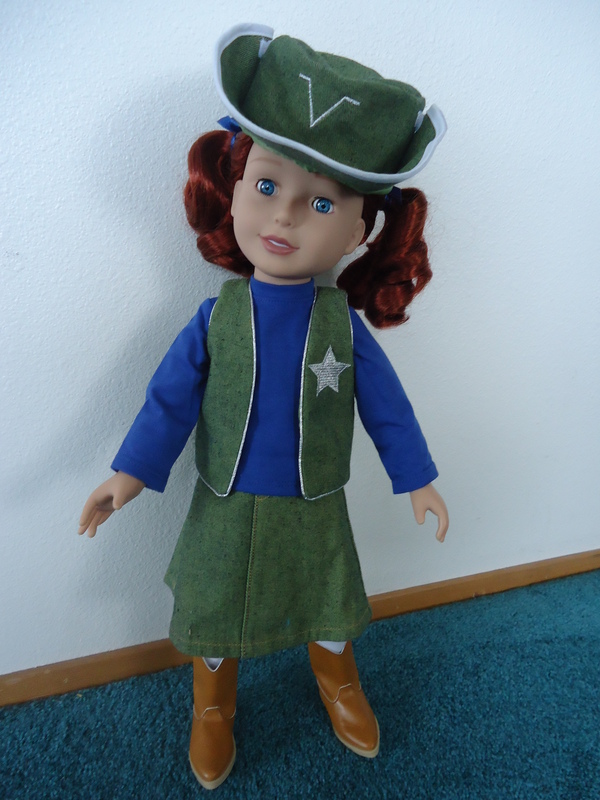 Because of this doll, I knew that Argentina was a place in the world as soon as I knew how to read her tag. Not too common for an American Kindergartner! Thank you dollies for giving me a greater global awareness! P.S. 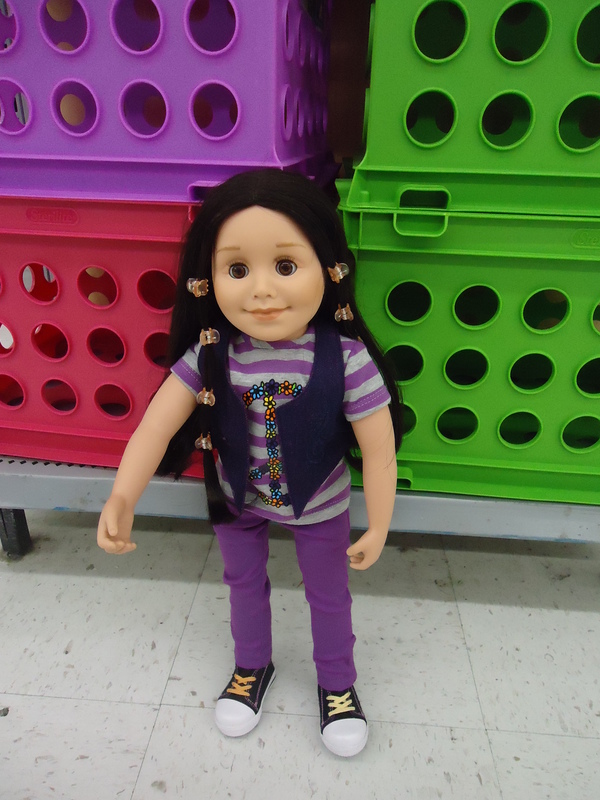 Today is actually Analisa’s turn but, jealous of Sheila’s new clothes last week, she’s expecting new clothes later this week. She postponed her turn to be able to show off her new clothes. Stay tuned. 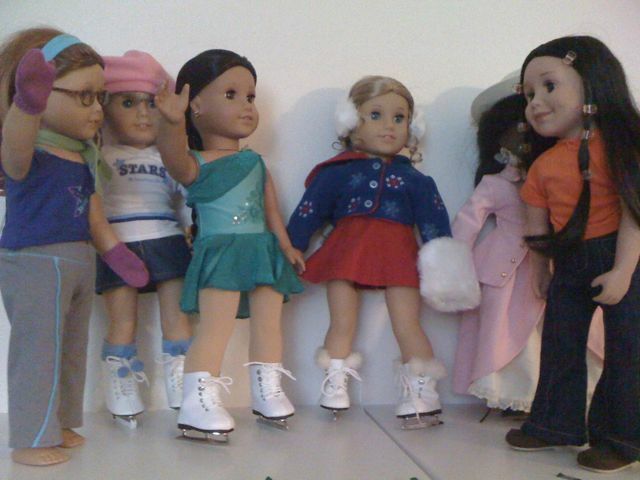 I love these dolls, and the whole idea of the A Girl For All Time line. I can’t wait for Clementine to be released this September, and whatever dolls will come after that. 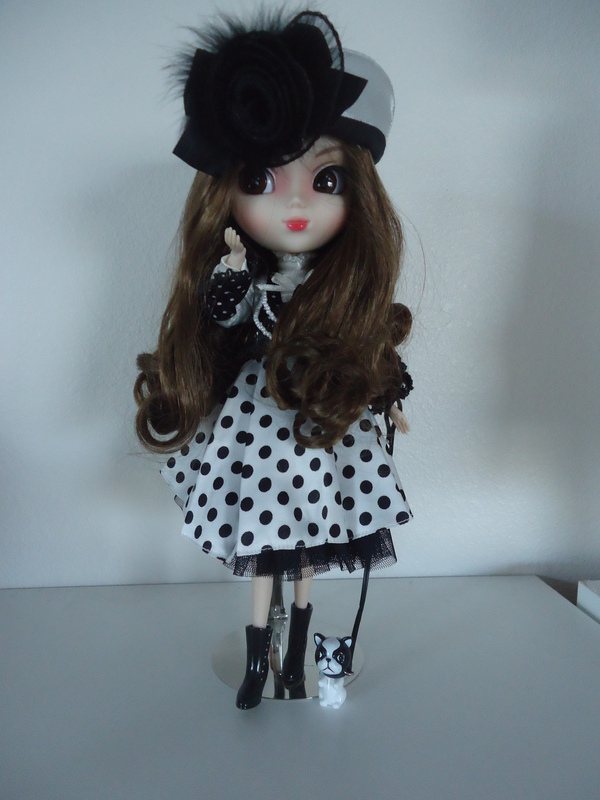 Pullip Alta came with a dog. I got her from amazon for about $80, which is actually quite reasonable for a Pullip. 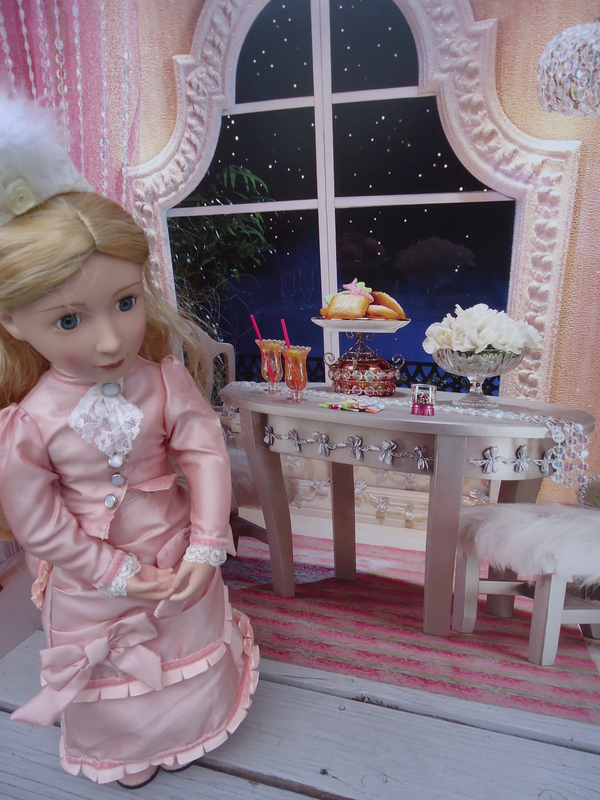 I first discovered Pullip in 2010, and fell in love with their poseability and their elaborate fashions. I love Alta’s black and white style. 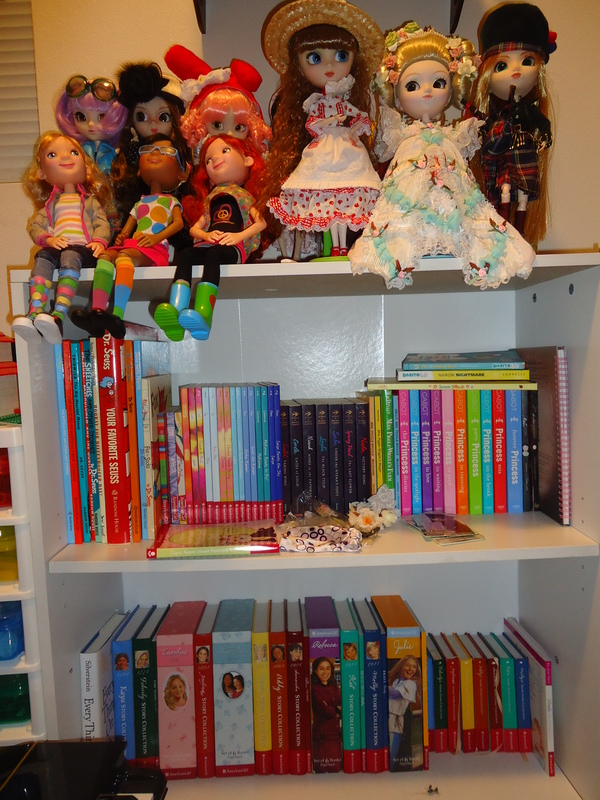 It is my goal to show you a picture you’ve never seen with each Dolly A-Z post, but I didn’t have a chance for a new photo of Alta, so here is a snapshot of where Alta lives–on top of the bookcase in the guest room with the rest of the Pullips and the Little Miss Matched girls. Check out some of the books on the shelf, and you’ll see why I usually call the guest room the play room! I’m such a grownup! 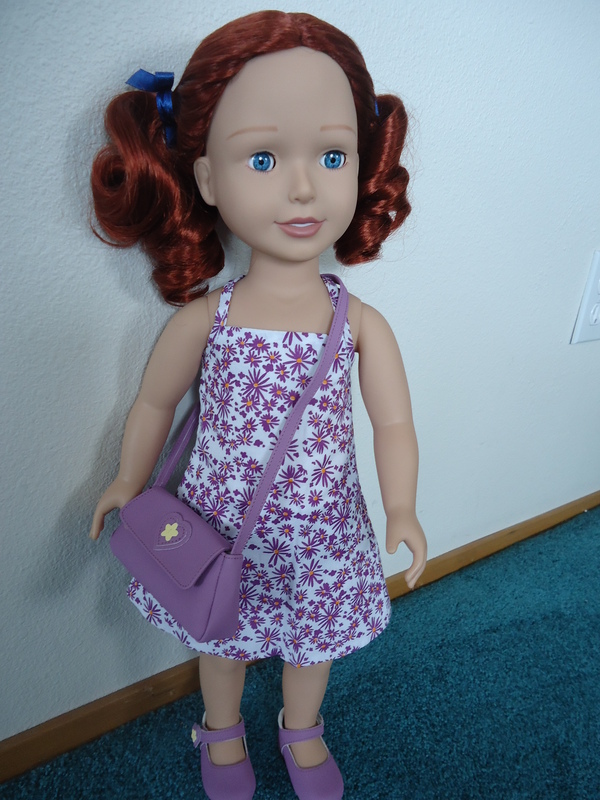 Alexi is a special member of this dolly blog, because she is the initial inspiration. 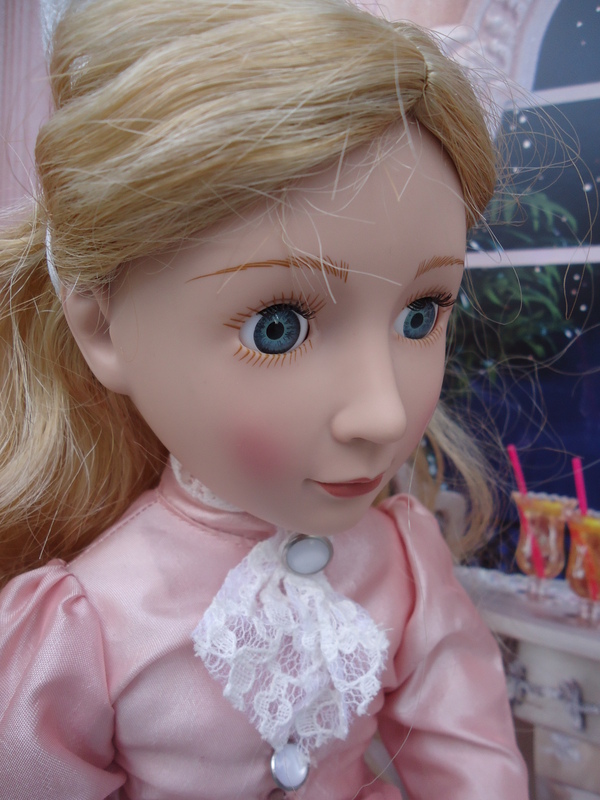 This blog was initially just an All About Marjorie blog, but I started it because I wanted to show off my new awesome doll from Canada! Here’s the link for the very first post on marjorieeeee.wordpress.com. 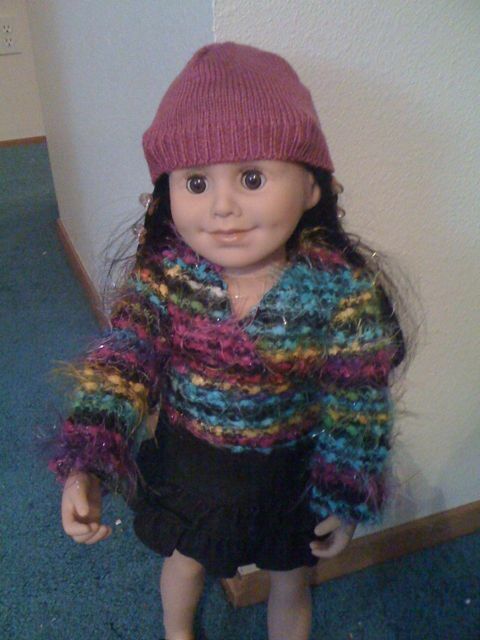 I got Alexi at Christmastime in 2009. Alexi is from Canada. You can buy her at www.maplelea.com. She, like all the Maplelea Girls, comes with a journal that has her story, then has space for you to write your story, and some blank pages to write whatever you want. Each Maplelea outfit comes with additional journal pages. 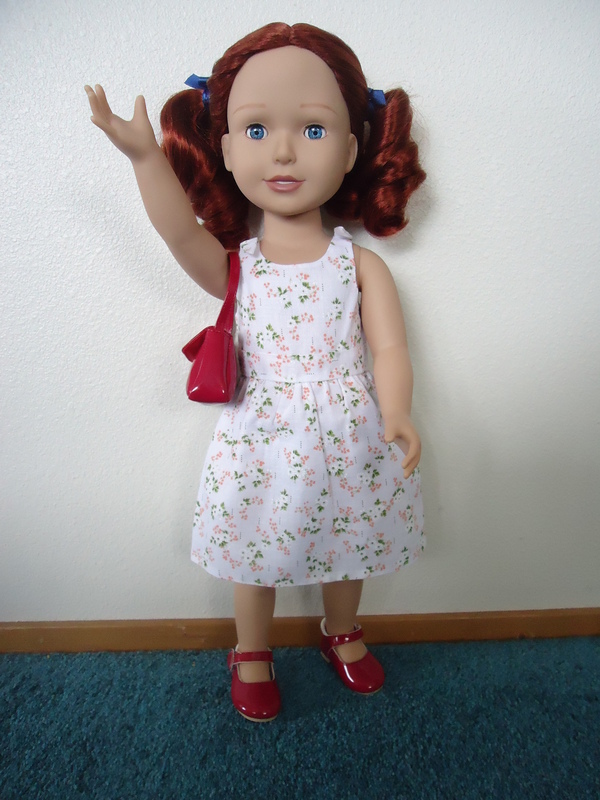 The Maplelea dolls and clothing are in my opinion of superior quality when compared to American Girl. They have really good hair. At the Maplelea Spa, which is kind of like the American Girl Doll Hospital, you can mail your doll in, and they’ll send you a brand new doll for a relatively small fee. In my Maplelea fandom, I have learned how ridiculously expensive it is to ship things from Canada to the United States. But, Maplelea prices are a teeny bit lower, and the American dollar is a teeny bit better than the Canadian dollar, so that makes it a little better for me. 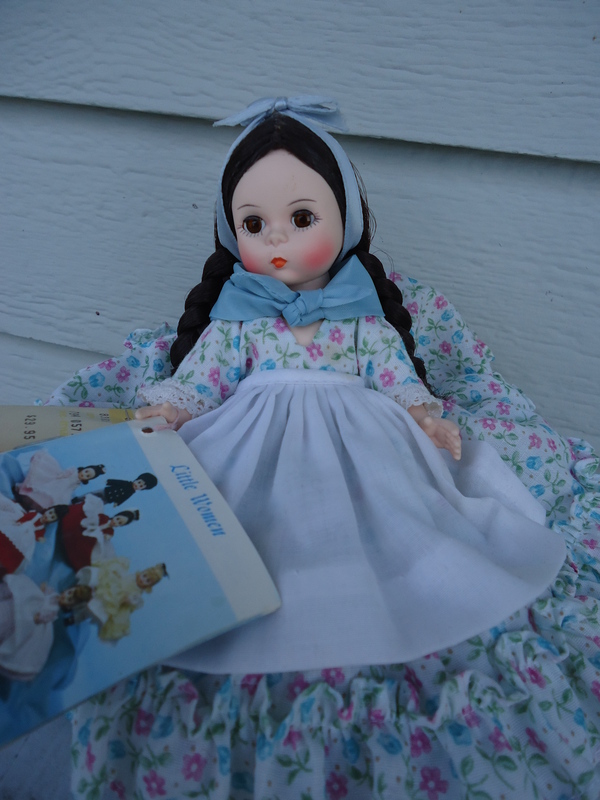 I’ve always loved Canada, and the Maplelea dolls and their journals have helped me explore more of Canada, as I’ve been trying to share through this blog’s Maplelea Mondays. (By the way, I’m going to skip Maplelea Monday tomorrow because of Alexi’s feature today…I’m actually not sure if any of my regular features will appear during Dolly A-Z…I’m just going to wing it). And now to the photos! I took Alexi to Walmart yesterday. She was wearing one of her favorite outfits called Positively Peaceful. It has beautiful skinny jeans and adorable tennis shoes with a double tongue and mismatched laces. Alexi loves bright colors, so she posed in front of this endcap of storage containers (conveniently located across from my pharmacy window).